Posted on June 22, 2017 at 7:19 am. An American interactive online entertainment advocacy group has released a new report with findings which show the benefits online gambling has brought to New Jersey since its legalisation in 2013. The iDevelopment and Economic Association sponsored Nathan Associates and Victor Strategies to create the white paper “Economic Impact of New Jersey Online Gaming: Lessons Learned“, which analysed financial and sociological data accumulated from 2013 – 2016 to determine the total revenue raised, the amount of jobs created and the lasting impact of legalising online gambling in the state. The report found iGaming’s legalisation in New Jersey directly and indirectly generated over $998.3 million in revenue for the state, created 3,374 jobs in the sector and provided $218.9 million in wages to employees. The state and its local governments also collected $124.4 million in tax revenue, including $83.5 million in iGaming taxes. In 2016 alone, the report found the state has generated $381.3 million in state revnue, 1,259 jobs and $77 million in employee wages and $49.9 million in state tax revenue to state and local governments, including $34.5 million in iGaming taxes. A further $40.3 million in total gaming taxes is anticipated in 2017.
iDEA’s white paper also found iGaming has been complementary to casino gaming rather than detrimental, with iGaming operations providing incremental revenue. Land-based casino revenue streams stabilised in 2016 and both online and offline gambling experienced growth in the first quarter of 2017, showing it isn’t a replacement for brick and mortar venues. Not surprisingly, the research concluded the online gambling model employed in New Jersey is working and the benefits gained and lessons learned can be applied to other U.S. states. While the report acknowledges New Jersey’s achievements are in part due to its larger population, its “broader iGaming business model” is cited to be the main reason for the state’s success. From a regulatory perspective the state’s efforts have been cited as a success considering the launch of New Jersey iGaming and its strict but fair regulation framework was accomplished within nine months timeframe. The report also revealed new technologies were tested and utilised to great effect, including player identification tracking and geolocation monitoring of the many iGaming betting platforms operating in the state. 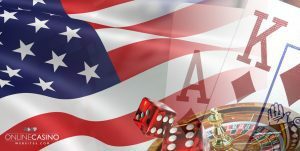 Online gambling laws in the United States have been incredibly restrictive since 2006, when the House of Representatives and Senate passed the Unlawful Internet Gaming Enforcement Act (UIGEA) which restricted Internet-based betting by banning American banks from gambling-related processing payments to online casinos. State governments have since handled online gambling independently, with Delaware, Nevada, New Jersey, and the U.S. Virgin Islands the only states to take significant action to regulate and allow their residents to gamble at Internet casinos. iDEA is comprised of 20 high-profile members, ranging from iGaming giants like Ezugi and Net Entertainment to betting and gaming operators like Betfair and Golden Nugget. All of these groups have come together to provide one clear message to advocate the benefits of online gambling for other states, so hopefully they can tip states like Illinois and Pennsylvania, who are currently considering the possibility of legalising online gambling, over the edge to follow in New Jersey’s very profitable footsteps.